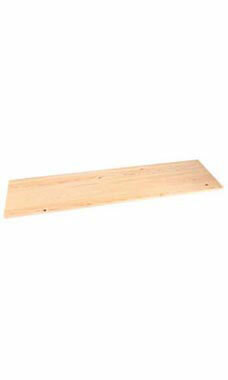 Natural Wood Shelves (48" x 12") are sturdy, stylish, and great for holding merchandise. These shelves are made of solid wood with a natural finish and measure 48"W x 12"D and are 3/4" thick. This shelf would work great with our standard and boutique shelf brackets. Shelf sold individually.